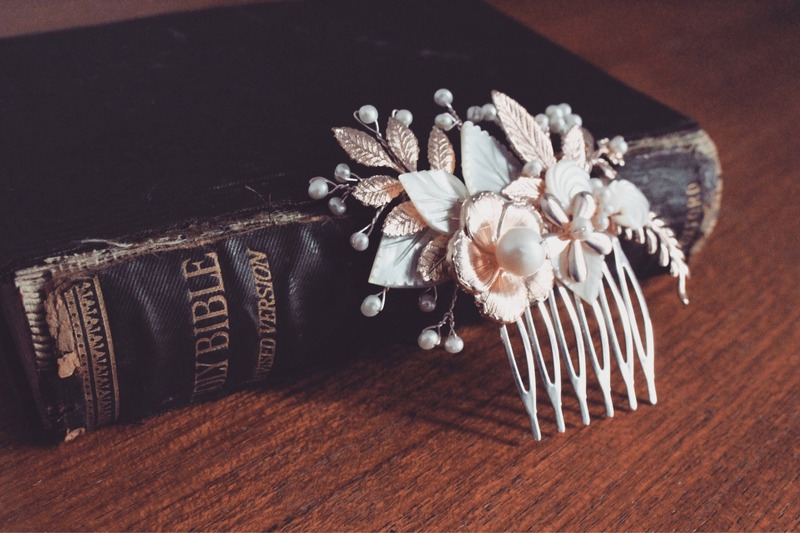 Beautiful Rose Gold bridal hair comb. A perfect addition to your bridal style. This item uses an amazing mixed lot of stamped brass flowers and leaves. They are modern versions that have been made using the true vintage die cut moulds and machines. The same moulds have been used since the early 1900's. These are combined with rhinestones, mother of pearls leaves and freshwater pearls. It is a one off piece so no-one will have another like it! Comb arrives packaged in a box.